Do you sell new product? Yes, we purchase brand new inventory from goSIT. We carry a variety of desk collections, storage, chairs, tables and much more. Click on the main horizontal navigation bar, you will be able to view hundreds of new items. What is a liquidated product? When a company is moving or growing it is often times more cost effective for the company to liquidate its existing furnishing instead of breaking it down, moving it and then, setting it up again. To eliminate the downtime for their staff, companies choose to sell their existing furniture and put it up for sale. What type of liquidations do you buy? Liquidation comes in many forms and there are many reasons why companies choose to liquidate. Companies are forever changing and with those changes come the need or desire to sell their current stock or furnishings. Yes, a company may be downsizing, but more often than not companies merely want to remodel or revamp their current look and replace what they currently have. Another reason may be that a company is moving from one location to another and doesn’t want the hassle or expense of moving everything with them and sell what they currently have. At times, items become available because they are no longer being manufactured, or are factory seconds (have slight flaws). Our inventory is constantly changing, so at any one time we carry hundreds of brands. 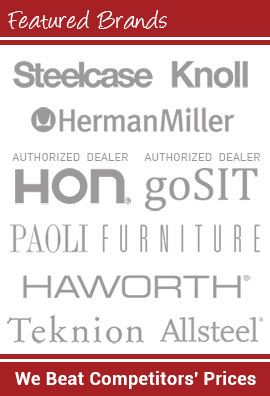 Some of the well known name brands we regularly have are: Steelcase, Hon, Knoll, Haworth, Herman Miller, Teknion, Paoli, Kimball and Global. If you don’t see what you want, just let us know, we may be getting it in or can find it for you. Do you sell to businesses and homeowners? We sell to businesses and general consumers. All of our customers are important to us. It doesn’t matter if you need one item or a whole building full, we will try to fill your needs. We do it all at the same low prices too! What is the difference between used, liquidated, pre-owned and open box? There is really no difference between these descriptions. It is in how the wording is used. While all can mean an item has been used, the words liquidated and open box can also mean new or factory seconds. Look at an item’s full description to be sure. Can I see items in person before ordering? Yes! 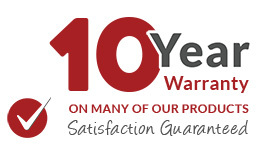 If you live near one of our warehouse showrooms you can come in and look over much of our inventory. Note, not all items are available in all areas. If you see something you like online, you can also call and request to see it in person and we can make it available for viewing. Our facilities are located in Orange County/So. California (Tustin), Dallas, Houston, Chicago, Atlanta (Norcross) and Phoenix. Our expert purchasers scour the country to find barely used brand name products in large quantities. We believe we have the lowest price on all our products and that is what we strive for everyday. If you are looking for a specific product and find it for less than our price, show us that price along with their quantity available for purchase, and we will beat it every time. Do you have a guarantee on custom orders? Custom orders for new manufactured goods are non-returnable with the exception of an exchange for mistakes on our part. It depends. We sell complete office sets and have a wide variety of items. If outfitting a single personal office we may be able to serve your needs within the week or a couple of days. If you are outfitting a complete company it may take up to several weeks for us to pull your items from stock, prepare them for shipping and get them to your business. Planning is key, we sell nationwide, to secure your product we suggest ordering your items immediately. We ship nationwide! 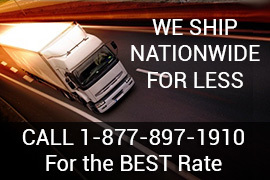 National Office Interiors and Liquidators delivers throughout the United States and parts of Canada. Whether your order is small or large, we will do our very best to arrange for shipping to your location. 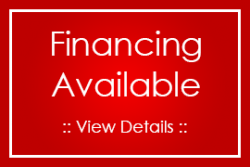 Pricing quotes are available, which can include unloading and installation. If you live in the metro area of one of our locations, we can often deliver directly, but if you live anywhere nationwide, your order will likely come via freight carrier. We also send via FedEx if that is the best option. What is local pick up? If you live near one of our showrooms, or warehouses, we can pre-arrange a date and time for you to come to the facility and pick up your item(s) yourself. If you elect to do-it-yourself, please make sure we’re prepared with moving blankets, straps and plenty of strength, office furniture is heavy. How do I find out the status of my shipment? Small parcel shipping and Fed Ex shipping is tracked, so we can easily follow your shipment. We also track items going from one of our facilities around the country to another with our freight line carriers. Occasionally, a client asks to set up their own shipping. In those cases, it is up to the client to ask for tracking from the individual service. What are the differences between laminates and glossy wood surfaces? Laminates are mostly scratch resistant and come in a variety of colors and patterns. Wood veneers are softer materials and the more glossy the surface the easier it will scratch. Wood general requires more care than laminates. Cardboard is an abrasive to both surfaces, avoid sliding boxes across your surfaces. Do pre-owned cubicles and desks come with instructions? Cubicles and desks are met to be installed by professionally trained installers; we can arrange to have them assembled and installed for you. Talk to your salesperson during purchase to set up the best scheduling for you. Can a pod of 6 cubicles be reconfigured into a row of 6 cubicles using the same parts? On a pod, the 6 cubicles share a spine with 3 stations on each side. When a row is required, additional parts must be added including all the center shared items such as the spine and panels. Depending on the cubicle, a pod of 6 may only make a row of 3. See sales associate for details. What is the general calculation to determine how many people will fit around a conference table? The standard is generally one person per foot, so a 12 foot table would accommodate twelve people with one person sitting at each end. Our Associate series tables are wider, the 12×5 would accommodate fourteen – five on each side and two at each end. Are keys included with my file cabinet? Although keys may be included with your filing cabinet, they are not guaranteed. Missing keys can be purchased through your local locksmith or at Easykeys.com. Note: Fire files come with keys.